The most powerful word spoken on Easter day to Mary at the tomb. What do you think is the most powerful word in the Bible? I would nominate a word spoken on Easter morning. This broken-hearted woman had seen her energy drain out through two days of tears. Jesus held a special place in Mary’s heart. Their relationship began when Jesus delivered her from seven demons (Luke 8:2). She burst from her spiritual imprisonment and began throbbing with life. Thrilled with her freedom, she became a devoted follower. Traveling with Jesus, she watched with amazement as blind eyes blinked at the sun and lame legs learned to dance. Even if she did not understand everything He said, this fabulous man’s fresh words were compelling—until Friday. The beautiful relationship had just ended, now sinister circumstances howled in the shadows. On Friday, she had watched her beloved Lord cruelly executed; by Sunday His body was missing. All she wanted was to pay her respects; even that loving act had been stolen from her. Alerting the authorities was out of the question—they were the prime suspects. Peter and John expected to become the next victims. Mary didn’t care what happened to her; she was confused and numbed by a love destroyed. Jesus was dead; her faith was dead. She just needed to tidy up the pieces of her bloodied dream, bury them alongside Jesus in His grave, and get on with life. Only one person in a dark and lonely garden could possibly know her. His one word acted like the master switch on a resuscitation paddle. Mary was the dead one. Jesus, the living One, used her name to jolt her faith back to life. Theological explanations were unnecessary, her spoken name proved that Love lives again. That name, from His lips, was powerful. John records no words from Mary—speechlessness is understandable—but she clung to Jesus. The risen Jesus continues to speak electrifying words to His followers. 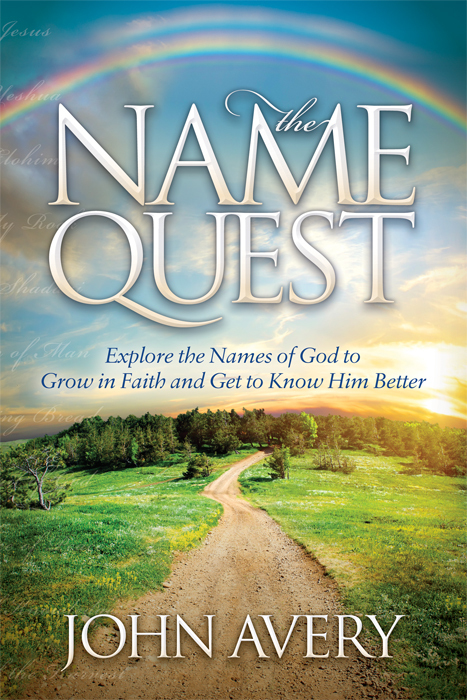 Those intimate and unmistakable keys to our personal circumstances are as good as a name. The specific words that only Jesus could possibly say, the miracles only He can fashion for us, provide fresh confirmation that He is alive. Cherish those signs and welcome the new life they stir in you. If you would like to receive these posts by e-mail, please sign up (we will not spam, or share your information). This entry was posted in Easter on March 30, 2013 by John Avery. Thank you John, really beautiful!